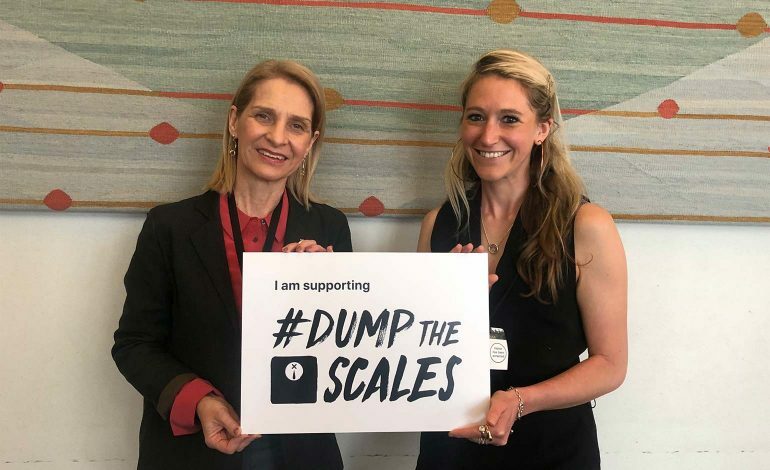 A campaign working to improve treatment of eating disorders, known as ‘#DumpTheScales’, will reach 10 Downing Street today, led by mental health campaigner Hope Virgo. Ms Virgo started the petition after seeking treatment for anorexia, only to be told she wasn’t thin enough for treatment. Left feeling suicidal and alone, she now has 70,000 people supporting her campaign. It calls for Body Mass Index to be disregarded by clinicians when diagnosing eating disorders, and asks the government for a review of eating disorder guidance. She will be joined at Downing Street by Wera Hobhouse, Liberal Democrat MP for Bath, Sean Fletcher of Good Morning Britain and Countryfile, as well as Paralympic gold medalist Rachel Morris MBE. Hope Virgo said: “I can’t quite believe we have got this far with the #DumpTheScales campaign. Each day so many individuals face injustices when it comes to accessing treatment and diagnosis for an eating disorder. “Tackling the injustices of people with eating disorders whilst changing entire public understanding so that everyone knows you don’t have to be stick thin to have an eating disorder. Bath MP Wera Hobhouse said: “Working alongside Hope and meeting others who have suffered with eating disorders, I’ve learned just how widespread this family of conditions is. “I am shocked by the number of people who are affected nationally and in my constituency in Bath. No one should have to suffer alone.